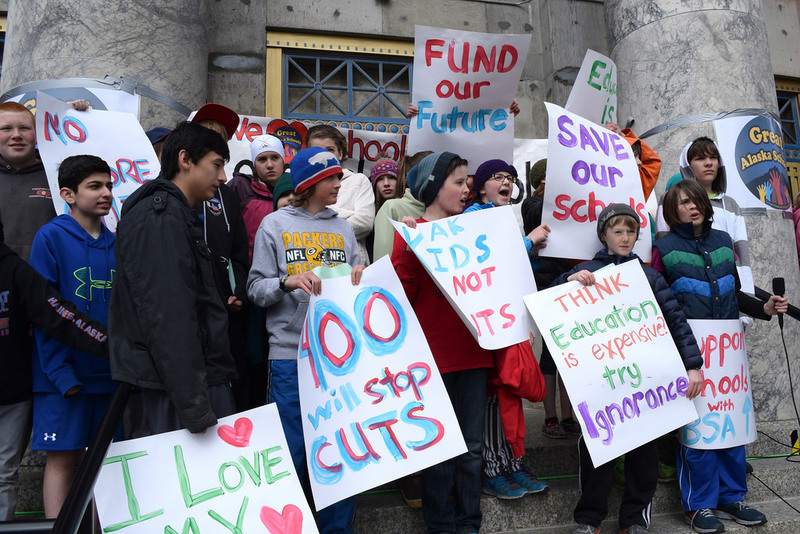 The group Great Alaska Schools took to the steps of the Capitol on Friday to demand an increase in the state’s education funding formula. 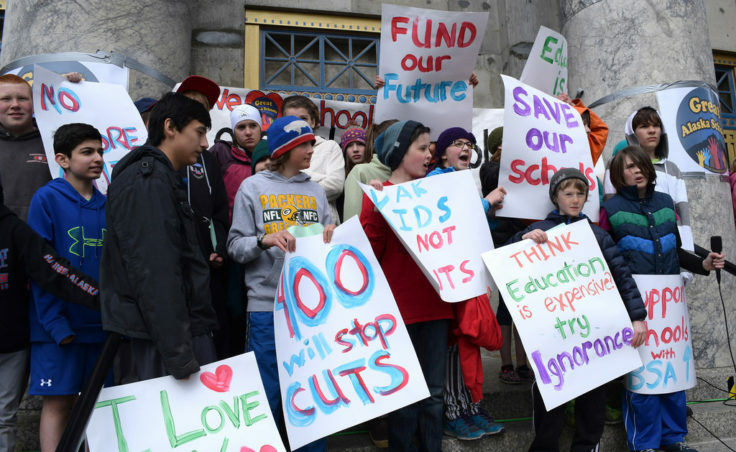 The students, parents and business owners at the rally even handed out slices of pie to lawmakers to symbolize their request for a larger cut of the budget. Inside the building, the state House had planned to take up Gov. Sean Parnell’s omnibus education package, but debate on the floor was delayed. 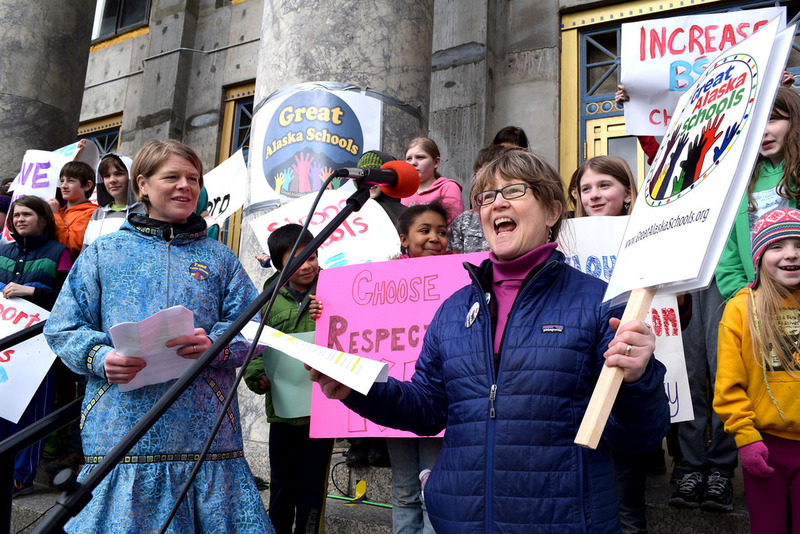 Mary Hakala of Great Alaska Schools in Juneau said education funding in the state has not kept up with rising costs. 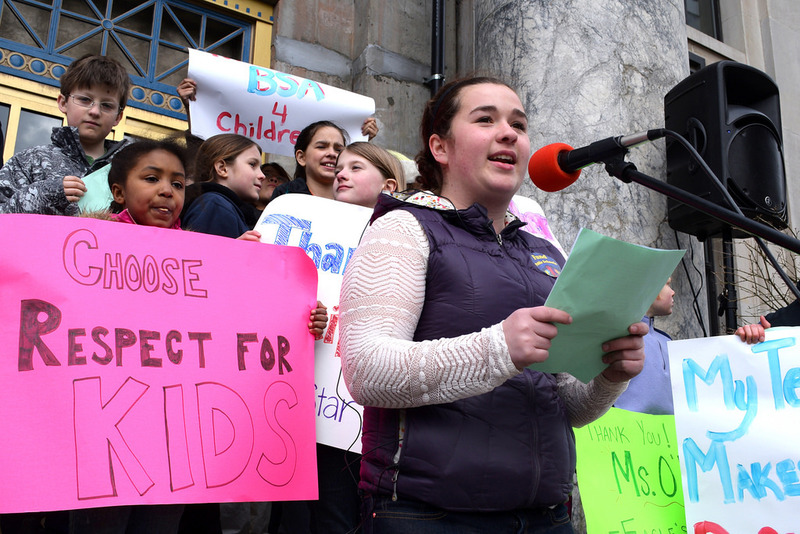 The group wants the legislature to increase the state’s base student allocation about $650 over the next three school years. That’s more than double the current proposal before lawmakers. The BSA is the amount school districts across the state receive for each enrolled student. It’s been $5,680 per student for the past four years. 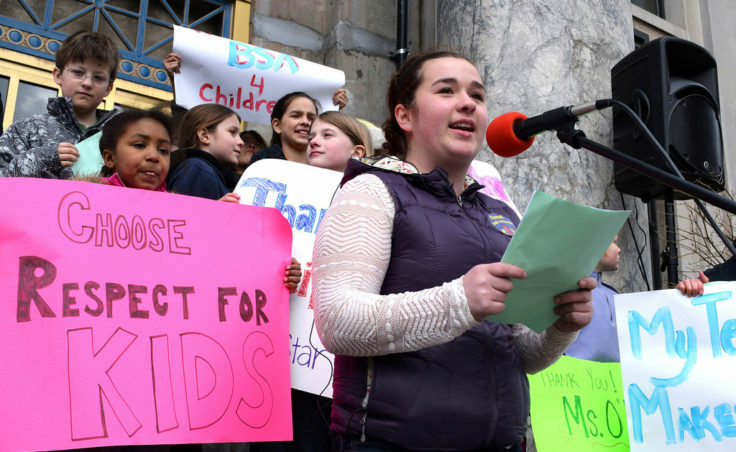 Juneau Douglas High School senior Ruby Steedle says flat funding is starting to take a toll. 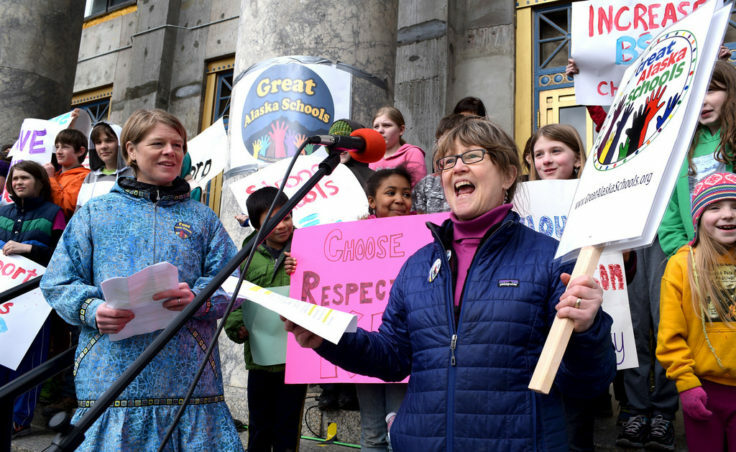 The governor’s omnibus education bill is expected to be heard on the House floor on Monday.